You may have heard the reference to breakfast being a good way to start the day. TRUE! You can set yourself up right for the rest of the day by consuming a good breakfast. It is possible that you simply considered this to be some old wives tale. Hmmm …. but perhaps there may actually be some truth to this. Doctors at Harvard Medical School conducted a study involving over 1,000 people regarding the consumption of breakfast everyday and the results of the study showed that those who ate breakfast each day were less likely to experience conditions such as problems with blood sugar and also less likely to be obese . With a good, NUTRITIOUS breakfast, you’ll be less likely to overeat during the rest of the day. So … if you do eat breakfast each morning, that’s great! However, there are good breakfasts and then there are really bad breakfasts. I do not mean to burst your bubble or spoil your day, but we do need to talk about this!!! How is the breakfast you consume everyday helping your waistline and general health? Do you feel an incredible high while consuming your breakfast but feel down in the dumps minutes later? Do the hunger pangs return within a hour or two after you eat breakfast? This could be happening if you are consuming high-sugar foods and other foods that do MUCH MORE to harm your body than you think. Also, it is ironic that these bad foods have the most calories while containing LITTLE nutrition, if any!! You can take back control of YOUR breakfast and LIFE! How, you ask? 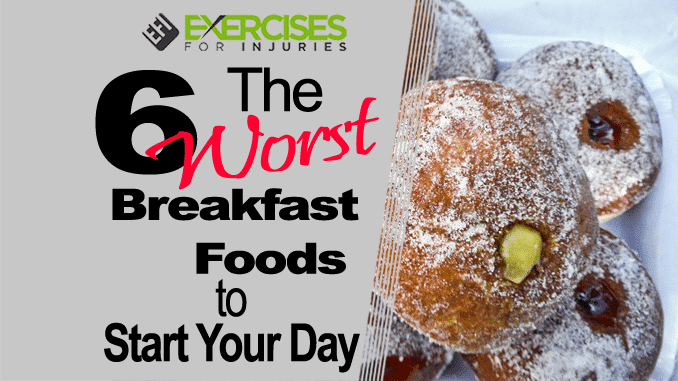 Sit back, relax and have an open mind as you review these 6 worst breakfast foods that you may be using to start your day. 1. Doughnuts and Other Pastries. Yes, these so-called treats can be quite attractive but also so, SO, so bad for you! It is easy to purchase these pastries and usually you do not go into a pastry or similar store to buy just one pastry or doughnut. No, my friend!! If you are not aiming to leave the store with an attractive DOZEN (or more) of these sweet treats under your arm, you probably will settle for any number above one!! Yes, sometimes, these pastries put a spell on us and keep drawing in. I have learnt that denying the attraction is futile, so I admit it and fill myself with the truth regarding these types of foods. What is this truth? These pasties contain high amounts of refined sugar and this is bad for me! And you TOO!! 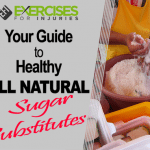 Consuming this type of sugar increases your blood sugar and has many other downsides . Hence, do what I do …. avoid, avoid … AVOID these seemingly harmless pastries and their associated refined sugars! It’s certainly not a good way to start your morning. Seek fruits and less processed sugars instead. 2. Sugary and Brightly Coloured Cereals. These types of cereals are everywhere and I am not joking! Multiple colors, designed to attract people especially kids and the sad news is that these marketing techniques do work and many homes, especially homes with small or big kids own AT LEAST one box of these brightly colored, sugary cereals. Cereal is usually made from carbohydrates and these carbohydrates turn to sugar when digested in the body. Thus, imagine the impact of cereal that is packed with added sugars!! TOO MUCH BAD STUFF!!! Such cereals taste super sweet when you eat them but wait for it …. yes, it is coming …. I am talking about the great dive as your energy level crashes soon after. Basically, you can set yourself up for failure for the rest of the day by not providing your body with the nutrition it needs to start the day PROPERLY. So, DO IT RIGHT! 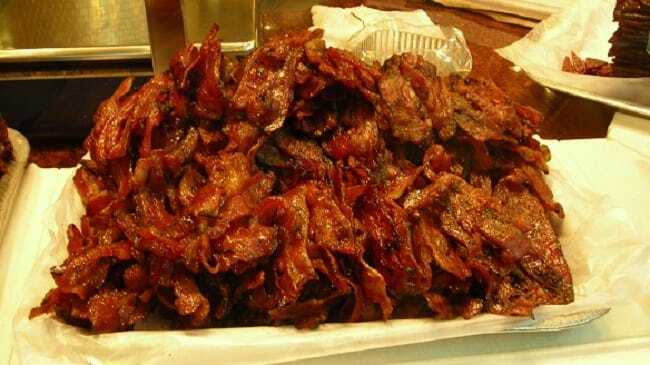 Eat a good breakfast. Also, there can be risks to your health that are associated with certain food colouring or dyes that are used to manufacture various foods . Cereals that are high in fibre and protein can be a better alternative. 3. Bagels with Cream and Possibly Much More! There are many types bagels and while the multi-grain variety can be much healthier than the typical processed flour alternative, a major downside for consuming bagels for breakfast is that these foods are usually very high in calories. Yes, you may not be doing badly if you stick to whole grain varieties. However, there is USUALLY the temptation to load these bagels with all kinds of cream cheeses, jams and many other less healthy fixings! Yes, me too … I can be guilty of trying to overdo it with bagels!! There are so many spreads that are available and some of these spreads are high in unhealthy saturated fats. Bagels made from processed flour can have calorie counts of at least 300. So, consider including a rich slathering of cream cheese on top of these 300 calories and the IMPACT this could have to your body and the start of the day. Stick with the low calorie versions and ditch the low-nutrient add-ins. 4. Flavored Non-Dairy Creamer. If a cup of coffee with your favorite flavoured non-dairy creamer is your preferred way to start the day, unfortunately, there is bad news in this area too. “Why?”, you may wonder. Well, I know habits may be difficult to break, but adding non-dairy, flavoured creamers to your coffee or other beverages could expose you to the consumption of trans fats. Such trans fats are may be labelled as hydrogenated oils or partially hydrogenated oils and the bottom-line is that these fats are BAD for you and are linked to cardiovascular disease . Some of the flavorings used in these creamers are also artificial with little or no nutritional value. If you do like certain flavors, stick with the natural ingredients. Also, try using a little naturally flavoured milk such as milk flavoured with chocolate or natural vanilla extracts. Even better, drink you coffee black. 5. Processed Meat. 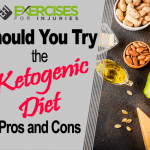 Perhaps you have not realized that you may be eating processed meats because there are multitudes of ways in which processed meats get introduced into meals. Do you like sausage biscuits or any of the many fast food options that involve some type of sliced meat? Eating processed meats such as sausage, bacon, ham and other typically sliced meats can bring you in contact with SODIUM NITRATES, which are used or inserted into these meats during processing. Unfortunately, nitrates have been linked to certain diseases including cancer  and it is recommended that people avoid the consumption of nitrates to reduce their risk of cancer. 6. Packaged or Artificial Breakfast Ideas. There is an increasing trend towards the use of packaged breakfast foods such as packaged pancakes, packaged biscuits and other similar items. Some food manufacturers also market artificial food items such as syrup or jams that are not actually made from REAL FOODS but these substances have been concocted from various artificial blends and made to LOOK and TASTE like the real thing. Don’t be fooled!!! Compounds such as high-fructose syrup and additionally refined sugars are a common component of artificial products. Unfortunately, you get what you buy!! 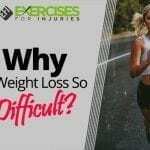 LOW NUTRITION means LOW VALUE to your body!! If you focus on consuming artificial products, you lose the tangible or actual benefits that you should be getting from the real products. Packaged products undergo more processing and can include additives meant to prolong the shelf-life of the products. So, what do we do? We stick to pure ingredients!! Seek out pure honey or maple syrup, for instance. If you want to eat pancakes, try making it from scratch. Yes, I do understand how life can be quite busy with work, kids and a possible mile-long “to do” list in tow. However, we do need to make time for a good breakfast! The MORE you know, the BETTER prepared you will be to take charge of your life and health. 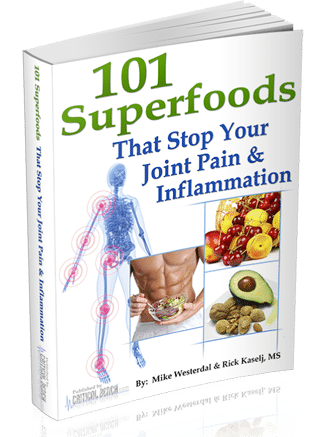 Poor choices in meals, especially meals that you use in starting your day could be lead to inflammation and joint pain . To get rid of inflammation, you can start by avoiding these 6 WORSE breakfast foods. You can also seek healthier anti-inflammatory breakfast ideas or components such as green tea, pistachios and other superfoods . It may seem daunting at first, but GIVE it time … and hopefully your new eating habits will take root and yield a healthier lifestyle, bursting with energy and vitality!